1. Remove a new pen from the refrigerator 30 minutes before you use it. 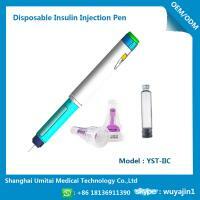 Insulin should be injected at room temperature. 2. Wash your hands. Use soap and water or an alcohol-based hand rub. This will help decrease your risk for an infection. 3. Remove the cap from the pen. Wipe the needle attachment area with an alcohol swab. 4. 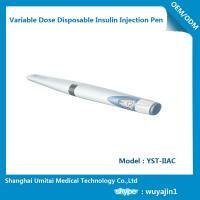 Attach a needle to the pen. Remove the tab from the needle. Do not remove the outer cap on the needle. Push the needle straight onto the pen. Turn the needle clockwise until you cannot turn it more. Make sure the needle is straight. 5. Remove the needle caps. Remove the outer cap and save. Remove the inner cap and throw it away. 6. Remove air from the pen. Air may cause pain during injection. Turn the dial to 2 units. 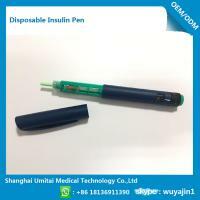 For most insulin pens, you will hear a click for each unit of insulin that you dial. Hold the pen and point the needle up. Gently tap the pen to move air bubbles to the top of the pen. Press the injection button. 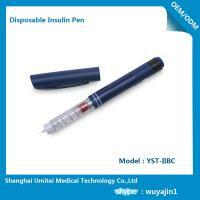 You should see a drop of insulin on the tip of the pen. If you do not see a drop, change the needle and repeat this step. 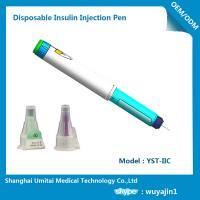 If you do not see a drop after you repeat this step 3 times, use a new pen. 7. Select the correct dose on the pen. Turn the dial to the number of units you need to inject. The pointer on the side of your pen should line up with your dose. The dial can be turned in either direction to choose the correct dose. You cannot choose a dose larger than the number of units left in the cartridge. 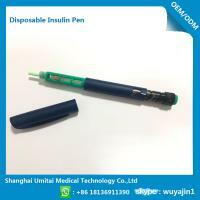 Insert another cartridge or use another disposable pen if there is not enough insulin. 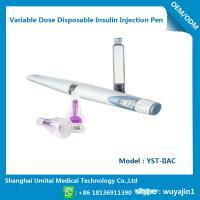 Instead you can inject part of your dose with the insulin that is left. 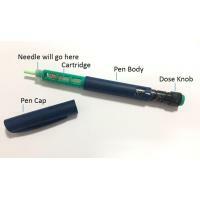 Next, you can use a new cartridge or pen to inject the rest of your dose. 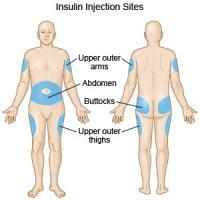 How do I inject insulin with a pen? 1. 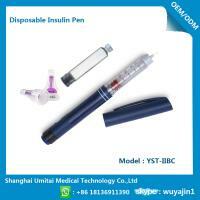 Clean the skin where you will inject the insulin. You can use an alcohol pad or a cotton swab dipped in alcohol. Let the area dry before you inject. This will decrease pain. 2. Grab a fold of your skin. Gently pinch the skin and fat between your thumb and first finger. 3. Insert the needle straight into your skin. Do not hold the syringe at an angle. Make sure the needle is all the way into the skin. Let go of the pinched tissue. 4. 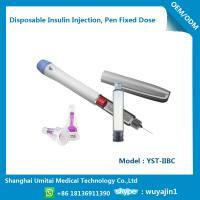 Push the injection button to inject the insulin. Continue to press on the injection button. Keep the needle in place for 10 seconds. 5. Pull out the needle. Replace the needle cap. 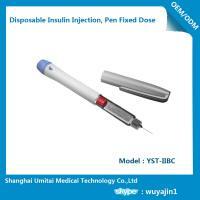 Press on your injection site for 5 to 10 seconds. Do not rub. 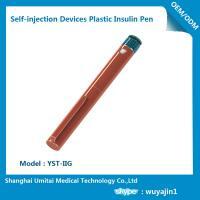 This will keep insulin from leaking out. 6. Remove the needle from the pen. Twist the capped needle counter clockwise. Place the needle in a heavy-duty laundry detergent bottle or a metal coffee can. The container should have a cap or lid that fits securely. 7. Replace the pen cap. Store the pen as directed. 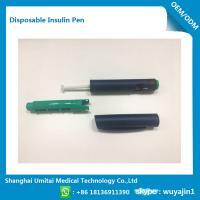 How do I store an insulin pen? Do not store your pen with a needle attached. Follow the storage directions on the label or package insert that came with the insulin. Unopened pens can be stored in the refrigerator until you are ready to use them. 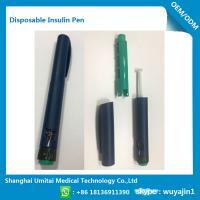 Most insulin pens can be opened and kept at room temperature. Store your pen in a cool, dry place. Do not keep your pen in direct sunlight or in your car. Throw away pens that have been frozen or exposed to temperatures above 85° F (30° C). If you travel, keep the pen in a cool pack.